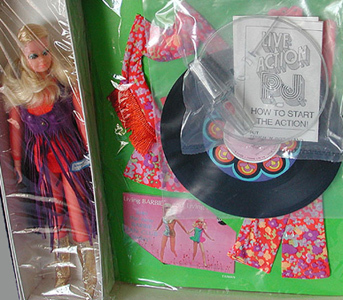 This was a Sears Exclusive PJ Gift set that sold in the 1971 Sears Christmas Wishbook for $7.99. The top skirt and pants are of a reddish-orange and white multi-color print. The top has extra long sleeved with suede fringe. It can be worn with the skirt or the pants. 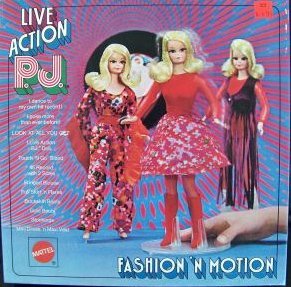 The skirt can also be worn with PJ's Live Action mini-dress. The Full Skirt and the pants have a wide waistband of the same suede type fabric as the boots and fringe on the top. This ensemble is very hard to find.